Many home exteriors use vinyl for siding, roofing, windows and doors, but why? This plastic material is the favorite among homeowners and contractors for a variety of reasons. Here are the top five reasons why vinyl is so good for your home. While other siding materials need regular checkups, vinyl resists fading and warping, meaning it requires less maintenance throughout the year. It’s also easy to clean with no harsh chemicals required. Simply spray with water whenever your home is looking a little dingy. The tools and techniques used when installing vinyl are very simple. Contractors like this because it means spending less money on specialized tools and training, while homeowners like this because it means paying for fewer manhours during installation. With vinyl, you get a variety of options regarding style, texture and color. If you want the look of wood, vinyl can be molded to mimic that. It can also look like stone or have no texture for a more modern look. A wide variety of colors is also available and they’re mixed right into the vinyl, meaning you don’t need to repaint it. Because vinyl resists the elements quite well, it’s more durable than other materials. Water and humidity won’t make it warp and it can even stand up to a pounding of light hail. Pests and bugs don’t eat it and it doesn’t rot. Many of the reasons above make vinyl siding a cheaper alternative to other materials. Since it lasts longer and requires less maintenance, you save money over time. That’s money you can spend on other home projects instead. 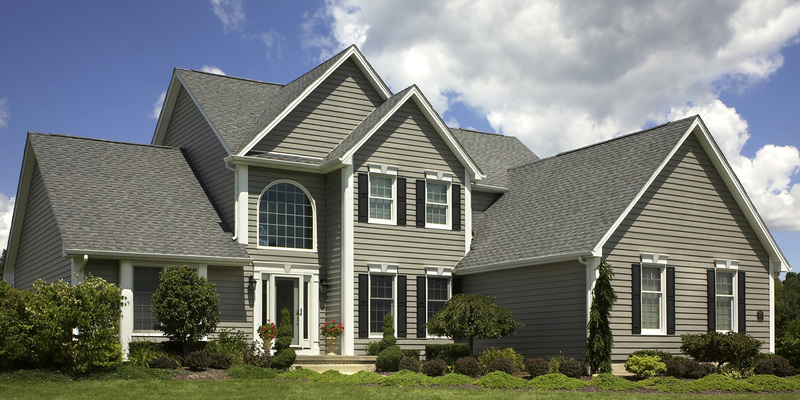 Vinyl siding is a great material for a home. Durability, easy maintenance and a quick installation time give you money savings for the entire life of your siding. Multiple options means you get this savings and the home of your dreams in one package.